Zenimax Online Studios today announced that PC and Mac players will be able to access the highly anticipated Orsinium DLC for the award-winning MMORPG, The Elder Scrolls Online: Tamriel Unlimited. Console players won’t be able to access the content for a couple of weeks as November 17th will see Orsinium made available on Xbox One with PlayStation 4 unlocking the DLC one day later, on November 18th. The release of Orsinium is the second DLC pack for The Elder Scrolls Online: Tamriel Unlimited and offers players the opportunity to explore the ancient ancestral home of the Orcs for the first time. 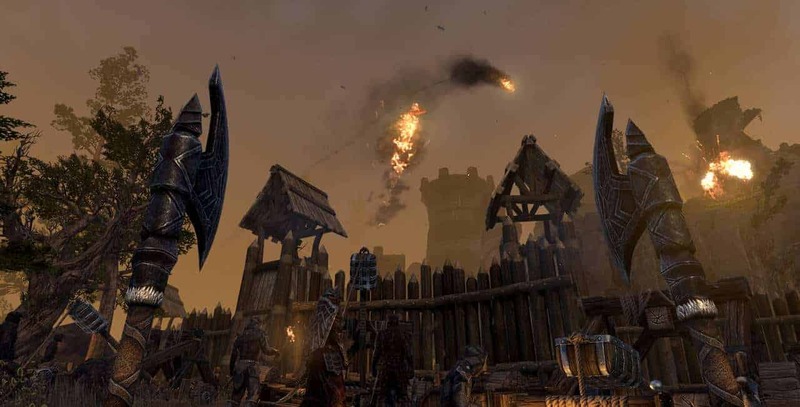 Creative Director Rich Lambert posted a welcoming message for a new and returning players, offering insight into the DLC and information relating to the next main focus of the development team, the arrival of the highly anticipated Thieves Guild DLC. [quote cite=”Elder Scrolls Online, Creative Director, Rich Lambert”]Welcome, everyone, to our second DLC game pack – Orsinium! This is by far our largest DLC to date, and one of the largest zones we’ve ever built. There is a huge amount of content to discover with tons of new quests, group bosses, delves, public dungeons, new items, and of course the PVE game mode – the Maelstrom Arena. The team has really outdone themselves with Orsinium and I know you are going to be amazed when you get in and experience what has been built. Orsinium isn’t just a new zone, however. The base game patch for this DLC includes a large number of quality of life improvements that everyone gets access to including controller support, battle leveling updates, subtitles, shield dyeing, LFG improvements, and the Champion Point cap and catch-up system. We’re committed to the continual improvement of the game and making sure we’re delivering a high quality, fun experience for all. I know a lot of you are already asking, “What’s next for ESO?” Well… aside from a short, well deserved holiday break for the team, our focus is on the Thieves Guild DLC. With it comes a new Trial as well as a myriad of other bug fixes and quality of life improvements. We will have more details on the Thieves Guild and the other DLCs in the new year.